There was a time when Video Editing was truly a technical thing, which required more-than-enough expertise in such clumsy editing suites and all! This complexity was one of the reasons why filmmakers were forced to limit their ways of imagination as it came to editing aspect. Though there’s no change in the requirement of bringing-together sense, thanks to developers who developed some of the best video editing software and now, video editing has become way too simpler. We now have plenty of video editing tools. Of course, thanks to Open Source, there is a lot of free video editors apart from the premium ones from Tech Giants! Indeed, for those who do not support piracy, the free video editing tools are simply superb, especially from the productivity, usability and support point of view. On top of all, it is all about the video editor you choose; regardless whether it is free or premium. Here, we have a list of top 10 best video editing software you can use, with confidence. We’ve picked these tools with a few factors in our mind, such as availability of features, usability as in terms of Interface, support offered by firm as well as community etc. We hope, in the long run, the list helps all those enthusiastic filmmakers & video bloggers out there. First, we shall have a look on top five premium ones. 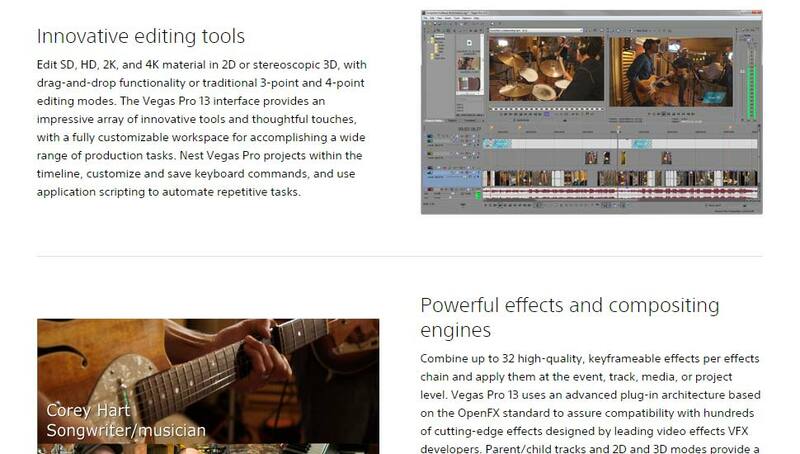 Premiere Pro from Adobe is a widely used and professional-quality video editor you can have. Major reason why this video editing tool makes sense is the professional-yet-simple User Interface it comes with. Also, if you are a regular user of Adobe products like Photoshop and After Effects, you will be able to have a unified video editing environment. 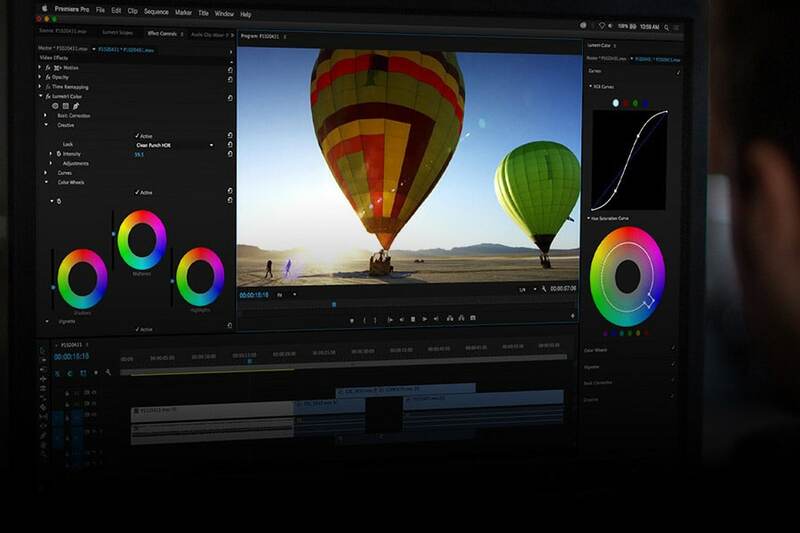 Premiere Pro is available for both Windows and Mac-based devices; a Cloud-based version of the tool is also available. Premiere Pro supports a wide variety of video formats, for both import and export purposes. Noticeable features of the fully-fledged video editor include complete support for High Definition content, storyboard mode and support to enable different video & audio tracks at a time etc. Premiere Pro is noted for its User Interface, mainly. 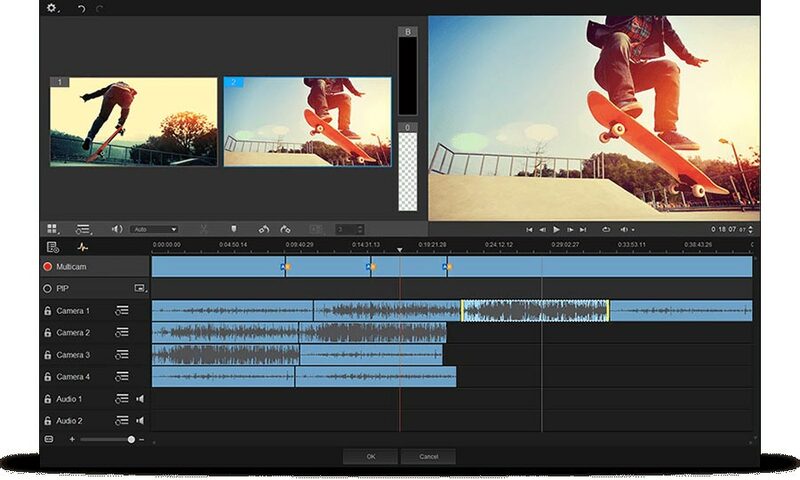 The premium video editing tool is available as a part of Adobe CC. 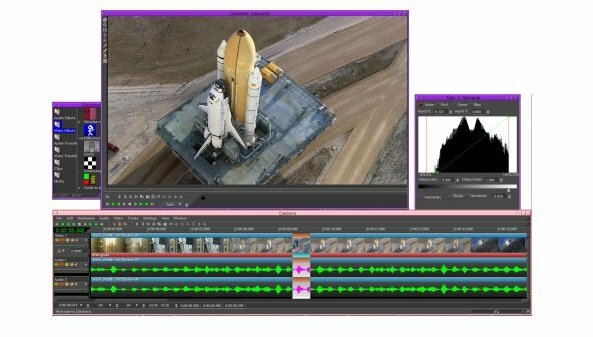 PowerDirector is yet another professional-quality video editing solution you can have from CyberLink, which is quite popular when it comes to sense-making utility software. Despite having the professional user interface and features that matter, CyberLink PowerDirector has been optimized for making your videos a bit trendy. In that sense, design tools and customizable interface of the tool is impressive. It offers a wide variety of features too. For instance, the tool has a section named Action Camera Center, where you’ll have a plenty of options to get better video output from action cameras you have. From stabilization of videos to fish-eye distortion correction, this sector will be of help. 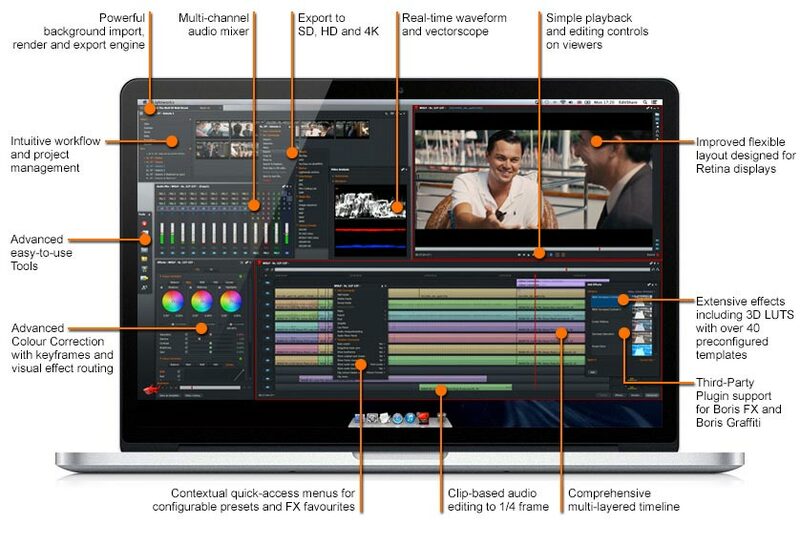 Other features are in-built screen recorder, multi-cam editing capabilities, title & transition designer, integrated sharing options etc. Yet another premium, professional-quality video editor you can go for, Sony Vegas Pro has been intended for giving you a fully-fledged editing process, with support for brand-new technologies and trends, for that matter. From SD to 4K 3D, you can use Sony Vegas Pro to edit things you capture and reproduce them in the best possible manner. An impressive feature we found in Vegas Pro is the compatibility with some other popular video editors, such as Apple Final Cut Pro, Adobe Premiere Pro CC and After Effects. Vegas Pro utilizes a strong-enough composition engine, which does comply with popular standards of VFX and all. As it comes with support for OpenCL, you can get the best visual experience, due to the GPU acceleration. Also, there is support for a variety of sound-based options and advanced capabilities in this video editing software. Behold Macintosh users — Final Cut Pro is here, when you need a professional working interface as well as a variety of features that will be helpful in different scenarios. 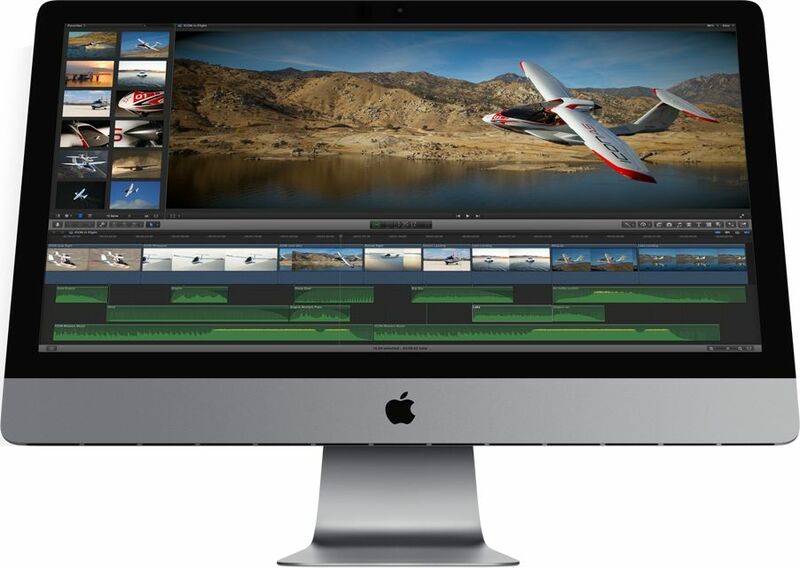 As you might know, Apple Final Cut Pro has been an industry standard as it comes to the case of video editing and the formats are widely accepted as well. And, there are lots of perks of being a product from Apple Inc. It is one of the best video editing software for Mac users. You can get the best out of Final Cut Pro if you’re using a Mac Pro, as Apple says and the graphics and performance will be just right. If we’re to list out features of Final Cut Pro, there will be plenty, but the major ones are support for 3D titles, advanced colors grading & mask effects, smart library, support for cameras and GPU acceleration etc. Pinnacle Studio 19 is also premium in terms of pricing, but you can have a better working environment, which is not that complex. In simpler words, you will be able to get used to Pinnacle Studio 19 in a few days, regardless your level of expertise and requirement. For instance, the interface supports drag-and-drop video editing, even while keeping full support for full HD content. With the support for up to six different tracks at a time, full quality is ensured. Other features of Pinnacle Studio 19 include the optimized support for 6th Generation processors from Intel, support for multi-camera editing, 64-bit architecture support for enhanced stability, availability of a huge number of effects, titles, templates etc and option for importing media in an easier method. Also, the tool has in-built options for fixing common issues you fix, ability to create DVDs, right away from the Studio section. Now, we will move onto the free video editors available for you to download. Lightworks is known as the professional video editor for everyone! The tool not only has a set of impressive tools but also lets you use a variety of associated accessories such as Lightworks keyboard. So, when you’re looking for a video editor with all the features but available for free, Lightworks can be the best choice you can make. The free video editor comes with Non-linear editing capabilities, which are seen professional tools. Just have a look on the screenshot of LKWS; it tells you everything. Notable features of Lightworks include the support for various operating systems like Windows, Mac and Linux. Just as you have support for common media formats, you have the option for web export as well. And, the whole tool is, actually, optimized to bring you optimal performance in the long run. Multi-camera editing, project sharing and wide support for VFX make Lightworks simply superb. 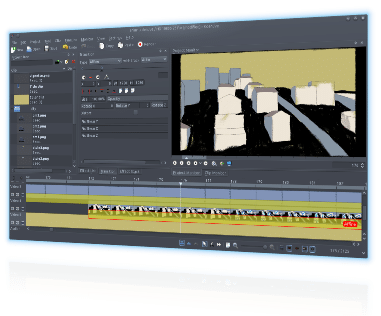 Kdenlive is the result of an open-source initiative to create a free, sense-making video editor with basic capability for creating the desired output. Although not that professional looking, the UI of Kdenlive would satisfy the professional video editor in you, for its track-based video editing system and the media management sector and preview sectors are worth praising, we bet. Of course, you don’t have scarcity of features when you’re in Kdenlive. For instance, the editor suite has complete support for HD videos and related content. And, when it comes to case of editing, you can add up to two video tracks and four audio tracks, and this makes the linear editing process way too impressive. Also, Kdenlive supports most of the popular media formats out there. The tool is available for Mac OS X, Linux and FreeBSD. 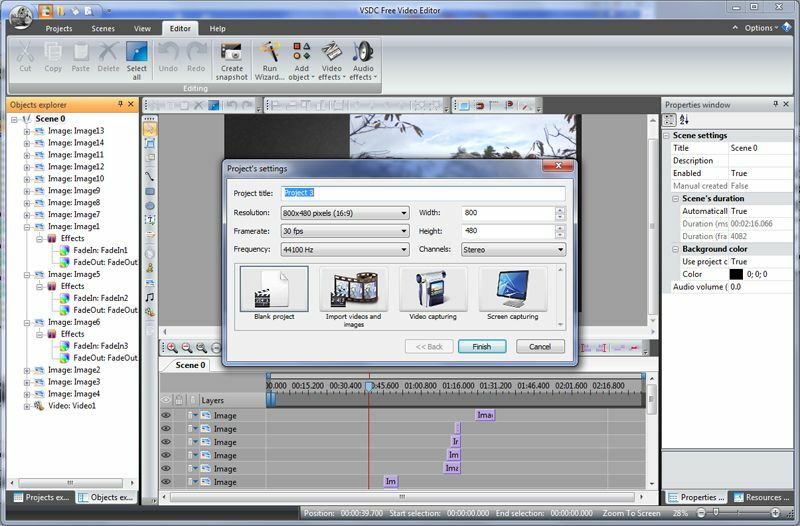 VSDC Video Editor has a comparatively simpler design and UI, and you will have no trouble when it comes to understanding what’s in the screen as well as how to use it. You will be able to create a project in VSDC and get going with the video editing process in a few seconds. The best part of the video editing software tool is that it offers support for a variety of media formats, both video and audio. The collection of video effects is also very rich, as compared to other free tools. Other factors that make VSDC Video Editor best video editing solution include : the option for non-linear editing, in-built conversion options that will be helpful when you want to export content, DVD authoring features for enhanced playback and export etc. also, the tool has integrated options for screen capturing and video downloading. 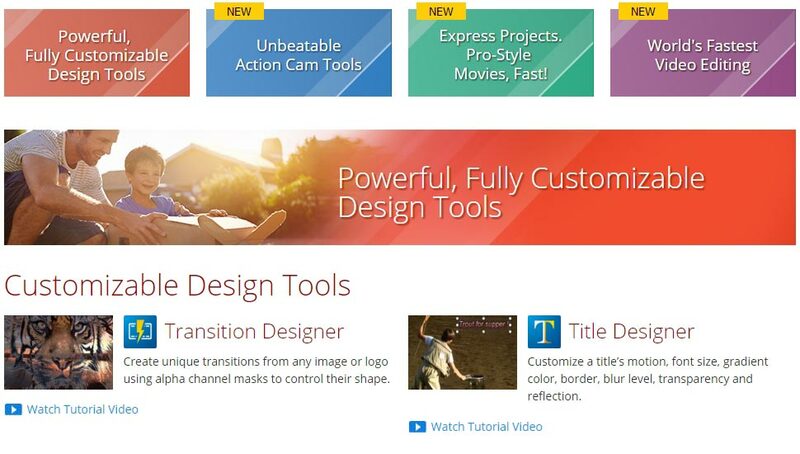 In shorter words, VSDC Video Editor is more than other typical video editors. Cinelerra is a wonderful video editor you can have for your Linux-powered computer. Of course, it’s completely free to use and the features are worth praising, from many perspectives; let that be usability, productivity and flexibility. It has a flexible User Interface, which is professional as well. Corresponding features are there in Cinelerra. Also, it’s support for various codecs, so that you won’t have any issues while exporting or importing. Along with a huge collection of both audio and video effects, there are some standalone features in Cinelerra. They include 64-bit computing for better performance, realtime effects, headroom monitoring, enhanced options in multi-track editing environment etc. Altogether, Cinelerra makes sense. 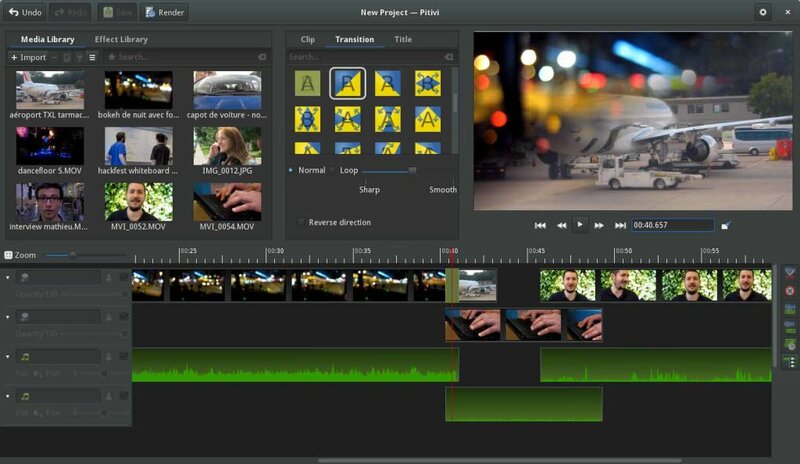 Last but not least, Pitivi is a stunning video editor you can have, given that you prefer free video editors. Despite being a free video editing software tool, Pitivi has a truly professional design as in terms of design and its compactness. The tool is available in different languages, thanks to the GNOME localization team. Also, it’s clear that Pitivi is meant to give you a state-of-the-art video editing experience, at the maximum level. It’s compatible with any Linux desktop but you can get the best results if you are on GNOME. Pitivi gives automated backup support, Gstreamer editing services library, unlimited layers of audio & video tracks, audio waveforms etc. In short, the tool is worth the effort you take. So, we have listed 5 premium video editing software and 5 free video editing software. As we said earlier, it’s up to you to select the tool you want to with, depending upon your requirement. For instance, if you like a professional environment, you can go with Lightworks or Adobe Premiere Pro. On the other hand, when you have less time, you may have to stick on the minimally-designed ones. Happy video editing, by the way. So which is your favorite video editing software ? Do let us know about any other best video editing software you want to include using the comment box below.